GM says it won't open Opel sale to new bidders. MILFORD, Michigan (Reuters) -- General Motors Co. has no intention of reopening the sale process for Opel and remains intent on reaching a deal with one of the two remaining bidders as quickly as possible. GM Chief Financial Officer Ray Young said the automaker was looking to wrap up the Opel sale as quickly as possible even after improvements in its own financial position removed the immediate threat of bankruptcy for Opel. "I think everyone is anxious to get this thing done," Young said on the sidelines of a GM event at its vehicle testing facility outside Detroit. GM CEO Fritz Henderson also said on Tuesday that he did not expect to reopen the Opel sale to any party beyond Magna International Inc. and RHJ International. "I don't think so," Henderson told Reuters Television when asked if a dark horse bidder could emerge for Opel. Canadian-Austrian auto parts supplier Magna is locked in a two-way competition with Belgium-based investor RHJ to buy Opel. Negotiations also have involved the German government, which has provided a 1.5 billion euro ($2.09 billion) bridge load to keep Opel alive and is expected to provide more financial support to the new owner of the 100-year-old company. Led by German Chancellor Angela Merkel's support, Berlin has thrown its backing behind Magna's offer, which includes cash from state-controlled Russian lender Sberbank state lender. Opel's union also wants Magna to win the bidding. The strong support comes because the politician and union think Magna offers better protection for the 25,000 jobs on Opel's payroll in Germany. GM has expressed reservations about the Magna deal, saying it wants to make sure that its proprietary technology in Opel is protected in any partnership. 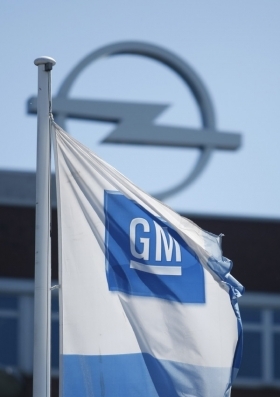 Talks between GM and Magna last week failed to produce a deal for Opel. Although GM is leading the talks on the Opel sale, the German government is being asked to provide further billions of euros in aid to finance the deal. With a federal election looming next month, the German government is keen to avoid an unpopular takeover and mass layoffs.